Juffern AG takes great care to ensure that waste goes to recycling, treatment and disposal facilities that meet the company’s standards. We are constantly investing in innovative technologies to help our clients meet industrial and environmental challenges head-on. 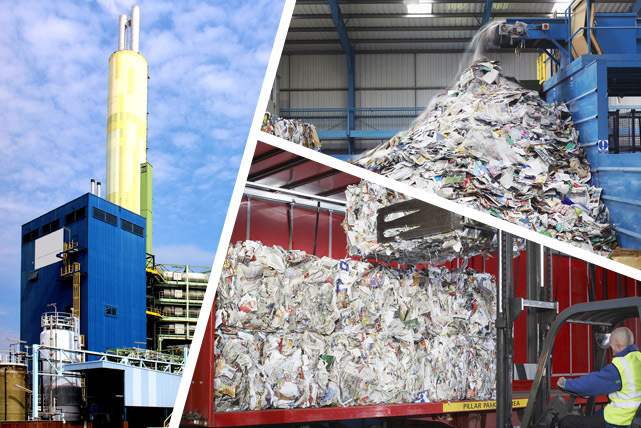 Garbage and waste materials that are not threated thermally can be processed in different ways. Based on our knowledge of feeding and sorting plants, we are your ideal partner for the the implementation of your ideas and the installation and adjustment of all technical components. Exhaust gases from industrial processes are often after-treated, to gain energy and minimise emissions. We can support you, from planning phase to implementation and commissioning, in constructing a successful after-treatment facility. Waste volumes are continuously increasing and must be managed. To assure a proper thermal treatment, waste incineration plants are built. We manage the construction of such plants and handle everything, from funnel tubes to flue gas desulphurisation systems. So that your project can be realised successfully. © 2014 - 2019 Juffern AG. All rights reserved.